Adam J. Maurer has been cast as Nick Sands, the male lead, for the reading of the “Trick of the Light” script. The script was chosen for inclusion in the “Green Screen Program – Film & TV Showcase” portion of the prestigious Sci-Fest LA. 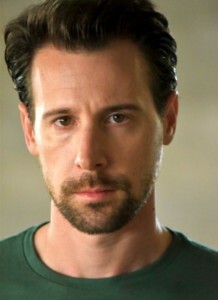 Adam Maurer is an American actor known for his roles in “Corruption. Gov,” playing a reporter; and “When He Left,” portraying a soldier returning home from Iraq, struggling to overcome Post Traumatic Stress Disorder, while trying to reintegrate into normal civilian life. Adam is also receiving rave reviews for his performance in current film festival favorite, “Last Day On Earth.” Adam moved to Los Angeles after doing local theatre in his hometown. Shortly after arriving in LA, Adam found his way to Studio 4, expanding his talents with the Meisner technique, then moving on to Speiser/Sturges Acting Studio where he focuses on Uta Hagen’s approach. He also continues his training in comedy at The Groundlings. Adam’s goals are to make films he’s drawn to, films that speak specifically to him. Films that allow him to connect to his audience by sending a strong message about the struggles of everyday life. Adam’s thoughts on “Trick of the Light.” The story has so many amazing twists and turns and colorful characters. Nick Sands, the detective and protagonist, does his best to find the “person” his client is looking for: God. Nick and his client go on the ultimate road trip, encountering the most bizarre, yet insightful, characters along the way. What I’m struck by most is that our perception of reality is more a reflection of what we want to see (filtered through our beliefs) than what it really is. Every time I read this and take the journey, I question the way I look at the world. Itʻs truly inspiring and a pleasure to be a part of! The reading will take place on May 24th at 8 pm at the ACME Theater Hollywood. For more information please click the icon below or contact us.